A South Bay man who plead guilty to stealing, torturing and killing more than a dozen cats in San Jose's Cambrian Park area was sentenced Friday to 16 years in county jail. Ian Cull reports. 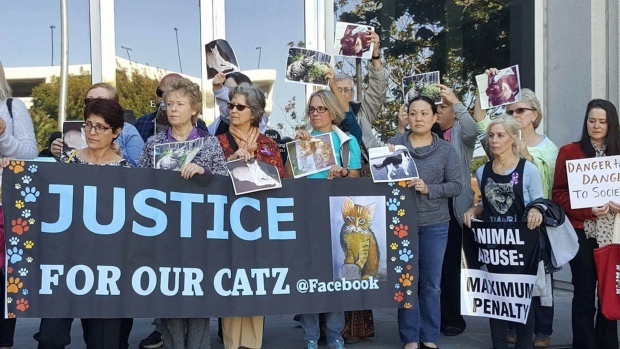 A South Bay man who plead guilty to stealing, torturing and killing more than a dozen cats in San Jose's Cambrian Park area was sentenced Friday to 16 years in county jail. Each cat killed by San Jose-resident Robert Farmer had its name read aloud by a judge during the sentencing to remind him of each crime he committed. Mirim Petrova's tabby "Go-Go" was one of Farmer's victims and the body has yet to be found. Friday's sentencing helps Petrova heal. A 25-year-old man on Tuesday pleaded guilty to torturing and killing nearly two dozen cats that he stole from the streets of a San Jose neighborhood. Rick Boone reports. "We finally can say goodbye to every cat that was involved in this tragedy," Petrova said. "That's finally saying goodbye to them." Farmer pleaded guilty to killing 18 cats and wounding three more. The crimes all occurred in the fall of 2015, with one of the abductions caught on camera. Numberous blood stains were also discovered in Farmer's car, along with a dead cat. A necropsy showed at least one of the cats died of blunt force trauma and may have been sexually abused. 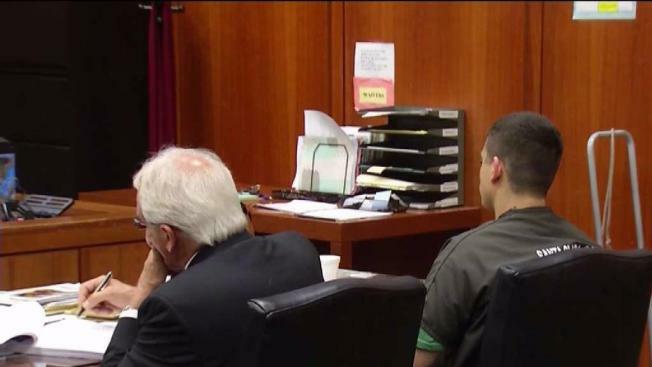 "The judge agreed with my analysis," Santa Clara County Deputy District Attorney Alexandra Ellis said. "She sentenced him to 16 years, we can only hope it is long enough." Farmer will not be allowed back within 100 yards of the Cambrian Park neighborhood. He will also not be able to own or care for a pet for 10 years after his release.